Our Children’s House is for children ages 2.9 through 6 years old. At Newburyport Montessori we approach each child with love and understanding. We provide our students with a nurturing and compassionate environment that enables children to: develop autonomy; establish comfortable and productive peer relations; learn basic skills and concepts necessary for intellectual development; and keep a sense of wonder and appreciation for the world. We offer 3, 4 and 5 morning programs from 9am – Noon. Additionally, we also offer an afternoon program from Noon to 3pm. Our goal is to inspire the child to feel the wonder and awe of the natural world, and to gain a deeper understanding of this amazing world. In addition to other activities within the classroom, our science teacher explores such subjects as: simple machines; magnets; geology; and electricity. Art is an essential part of the young child’s classroom experience. 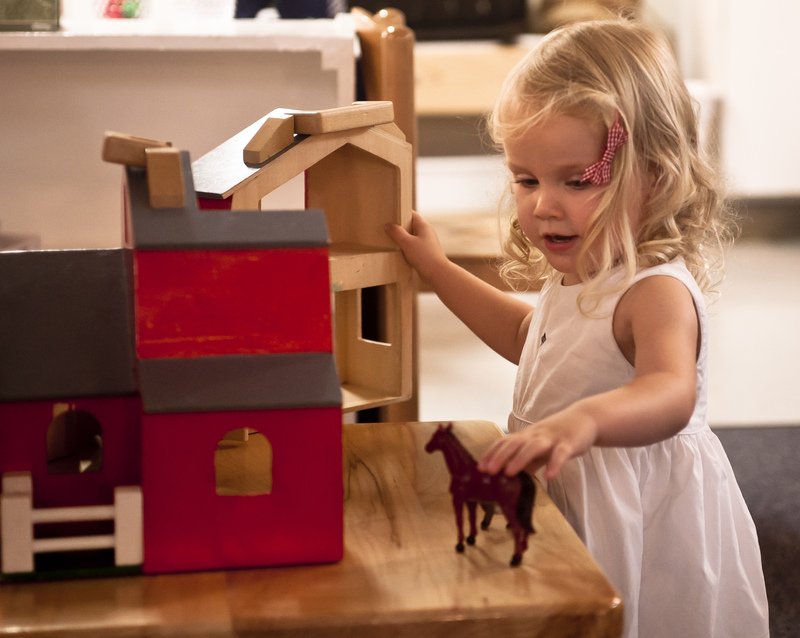 Open-ended, process-oriented art materials are available to children throughout the day. In each classroom, children choose from among a large variety of art materials and art experiences. Children are also exposed to fine art and art appreciation. Children experience music of many different cultures and styles. At daily circle times, teachers lead songs and creative movement. Children play rhythm instruments and learn new songs. Each week our music specialist introduces elements of music theory. Children sing joyfully together, learning new songs and singing well-known beloved songs. Children learn Spanish in a fun and interactive manner. Through singing, moving and responding, children are exposed to Spanish and begin to acquire a basic Spanish vocabulary. Children live together in peaceful communities, guided by their teachers. Even very young children learn to identify and express their feelings in constructive, purposeful ways. As children grow within our community, they learn empathy and practice peaceful conflict resolution. For behavior management, we use a positive approach that focuses on self-regulation, honors each person’s autonomy and emphasizes respect. Children and teachers work together to create peaceful, respectful communities.